If you live in an urban area, then you have probably seen food trucks popping up all over the city. Here in Washington, DC, they line the streets outside of the downtown area known as Farragut Park where week day office dwellers have their pick at almost any type of food imaginable. Years ago, when I worked in the heart of what now seems like Food Truck Central, there was only one. It was called Pedro & Vinny's (which was more like a food cart) and there was always a line - even at 11am when it opened for the day. The only item on the menu was a vegetarian, bean burrito. You could choose black beans, pinto beans or black & tan, which was a combination of the two. Add-ons included fresh salsa, guacamole, sour cream and hot sauce. On the outside ledge of the stand were at least 80 different types of hot sauce, all flavors and in varying degrees of spiciness. Didn't know which type you wanted? No problem. John, the owner, would ask you "on a scale of 1-10, how hot would you like it" and would accordingly select one dependent on your response. It was amazing. While I haven't been to a food truck since Pedro & Vinny's, this list of the 26 Healthiest Food Trucks makes me want to track one down during lunch. The selection of food ranges from fresh juices to Indian fare to Latin cuisine to vegan/vegetarian. Some run on solar energy and more than one donates a percentage of its profits to groups that benefit local youth. Many can be found in the same spot every day, but some can only be tracked down by checking their twitter account or website. I would say this is certainly one food craze that has turned into a phenomenon. 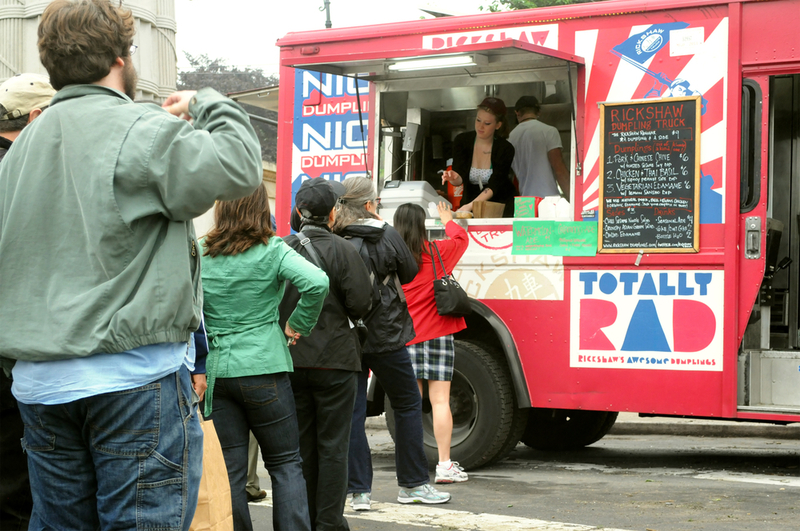 See if a food truck in your area made the list compiled by Greatist. Local and live in Washington, DC (or planning a visit), click here to see Washington Post's compilation of Best DC Food trucks.